Fall officially starts on Friday! I'm so happy for the leaves to change and the weather to get cooler. 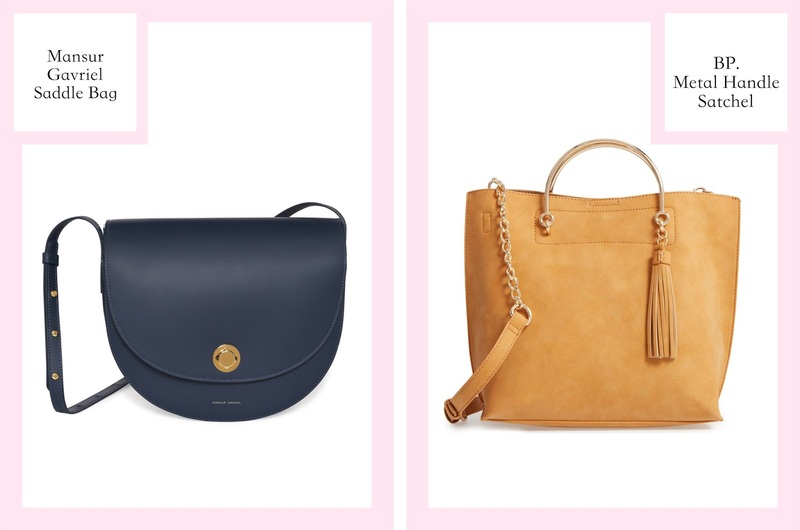 One of the easiest ways to change up your wardrobe for fall is to switch up your bag. 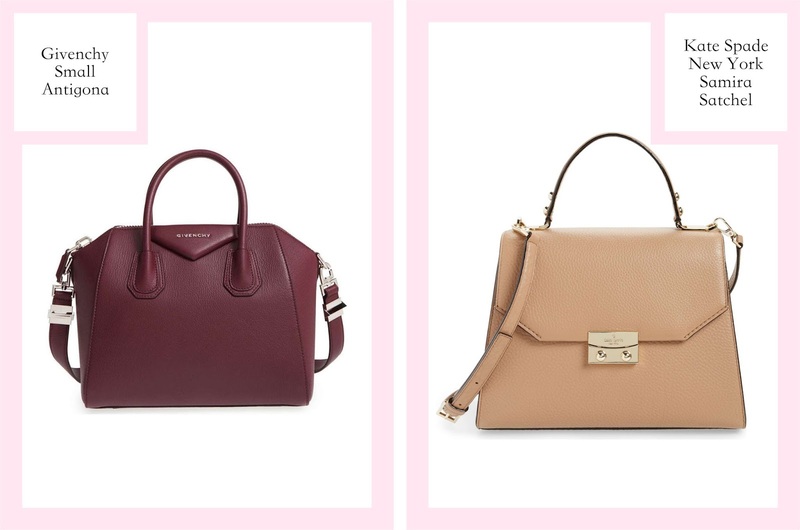 I'm loving the faux fur, structured, saddle, and burgundy bag trends for fall. 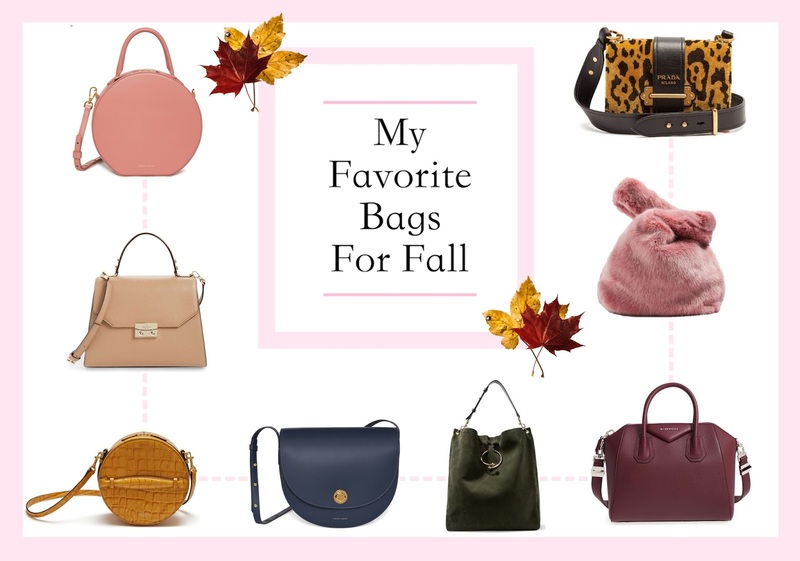 To help kick start the week I picked ten bags for fall that I think are perfect for the season change. New from Mansur Gavriel for fall 2017 is the circle bag. The bag is made of calf leather and has a suede interior. I love that the bag has a detachable shoulder strap and has a zip closure. The Prada Cahier bag is part of the pre-fall 2017 collection. I absolutely love the velvet leopard print and the gold-tone hardware. I love all things J.W. Anderson. This Pierce hobo in this army-green shade is perfect for fall. The bag is made of suede and features J.W. Anderson's signature gold barbell. I love the space you get in a hobo bag and how easy they are to carry. 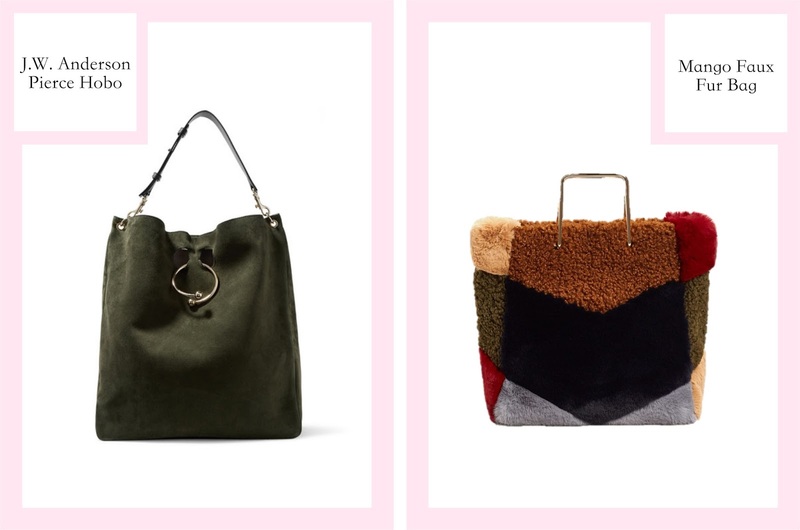 Faux fur bags are in for fall. This Mango faux fur bag features different colored fur panels, a detachable strap, and a metal clip closure. This bag is super unique and has a great price point. Another bag from the fall 2017 Mansur Gavriel collection is the saddle bag. The bag is made of calf leather, features two interior pockets and has a canvas interior. The saddle bag also has an adjustable strap and gold-tone turnlock closure. I'm loving this BP. metal handle satchel. The bag is made of faux leather and features these unique metal handles that make it stand out. 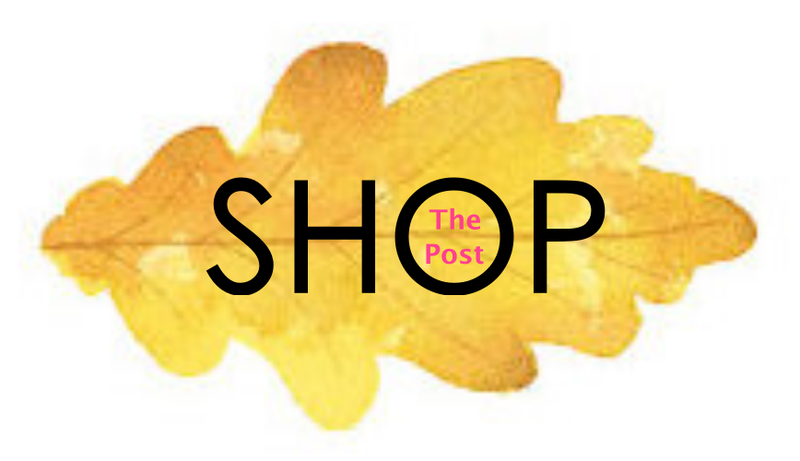 I'm loving this bag in the beautiful mustard color thats perfect for fall. Another faux fur bag that I'm obsessed with is this Topshop Dolly tote. 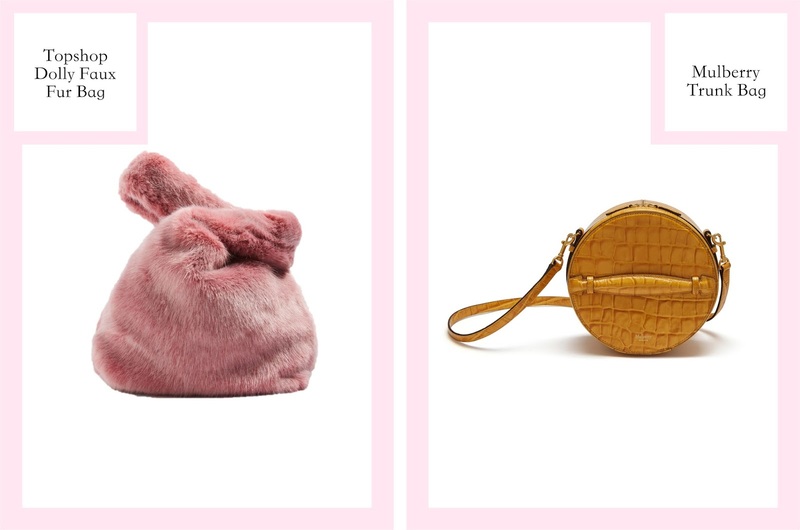 This pink and fuzzy bag has two handles and has an interior zip pocket. I think this bag is a great statement piece, it looks like its super cuddly and cozy. Mulberry has been stepping up their game recently, this new trunk bag from their Winter 2017 collection is in a beautiful croc print. This rounded crossbody looks like a vintage 1970's hat box, it features an adjustable strap, quilted PU lining, and hardware in a brass finish. I literally want the Givenchy Antigona in all the colors. I'm obsessing hard over this burgundy Antigona, this color is great for fall. 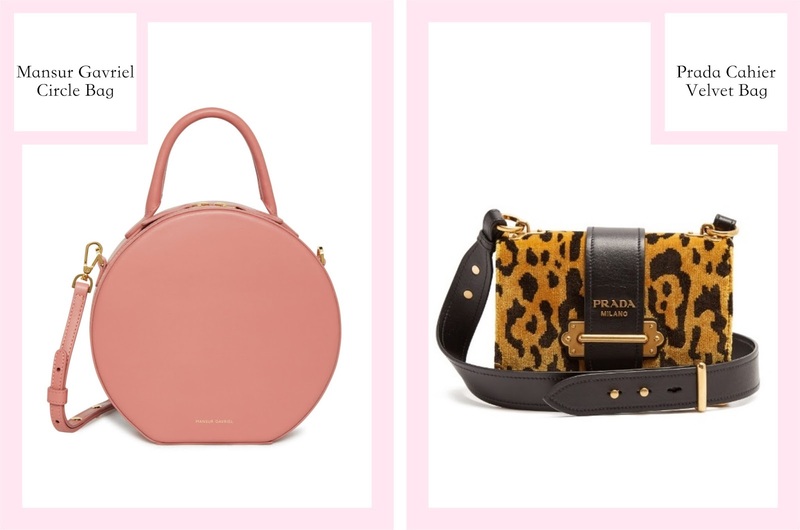 Kate Spade New York is a brand that can do no wrong. This Samira satchel is made of leather features push lock flap closure, a top handle, and detachable/adjustable shoulder strap. I love the lady like look of this bag, it looks like its great for work.